Indian players are in high demand. 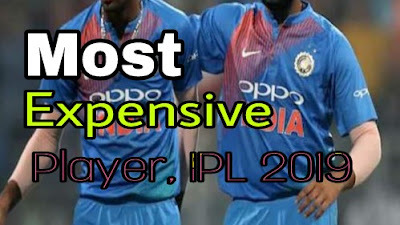 Again an Indian player became the most expensive player in 2019 IPL season 12. Jaydev Unadkad who was sold by 11 crores last year in season 11 by Rajasthan Royals. Again this team snapped Jaydev Unadkad at Rs. 8.40 crore and became the most expensive player in this season. Ben Stokes, an English player was the Expensive player in season 11. Not only Jaydev Unadkad another new young talent from Tamil nadu, a Mystery spinner Varun Chakravarthy is on the race with Jaydev Unadkad. Without any prior experience in Ipl all the team franchises showed interest on this young boy from Tamilnadu. At last Kings XI Punjab grabbed the spinner with the same value of Unadkad. He was sold for 8.40 crore in this season.But his base price was just 20 lakhs. Varun Chakravarthy is a mystery spinner from Tamil Nadu. He had started out playing cricket as a wicket keeper — batsman at the age of 13. He played cricket for his school, but he stopped playing game after he joined college. Pursuing architecture in SRM university in Chennai. After his graduation he played for afew clubs but a knee injury harmed him. At that time he was a pacer. (Fast Bowler). Because of his knee injury he could not do fast bowl and started spin. Varun Chakravarthy says,"I used to experiment a lot with the tennis ball while playing gully crickets. I tried doing the same with leather ball,” he says. And from there, he developed new variations. “After the injury, I didn't want to bowl pace again, so I turned into a spinner.” The change worked like magic. He has seven variation of spin to trouble batsman. That's why he got opportunity to bowl in CSK nets and even KKR. He played Vijay Hazare trophy and remained highest wicket-taker in that series. He took 22 wickets in Vijay Hazare trophy. 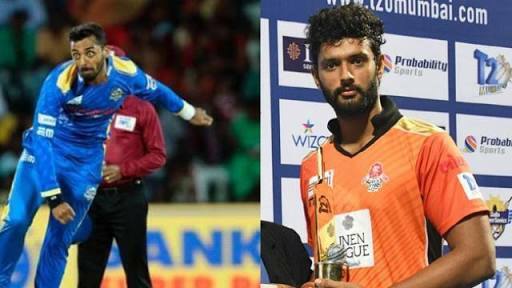 While e new face became the expensive player of this season, Such a big name like Yuvraj Singh, Brandon McCulum remain unsold for Ipl season 12. Don't know why no teams showed interest on such a great player. And also, it might be the last season for Yuvraj Singh in IPL as well.